The amphibious transport dock USS Anchorage arrived at Naval Base San Diego on Friday after completing the successful third recovery test for NASA’s Orion space capsule program. 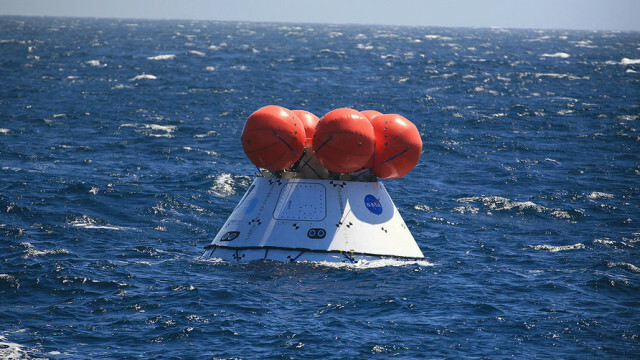 The Orion, which is designed to carry astronauts beyond Earth orbit, is scheduled to make an unmanned test flight aboard a Delta IV Heavy rocket in December. 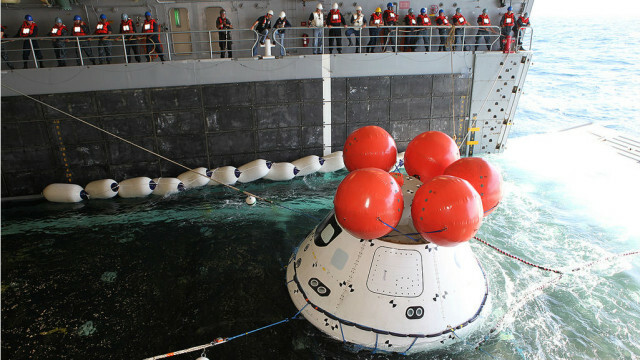 Another navy ship, the USNS Salvor, assisted in the test, lowering the capsule into the Pacific Ocean off Southern California while the Anchorage positioned itself to recover the module, accounting for sea state, winds, and other environmental factors. Inflatable boats were then used to tow the Orion into the Anchorage’s well deck, from which landing craft are normally launched.